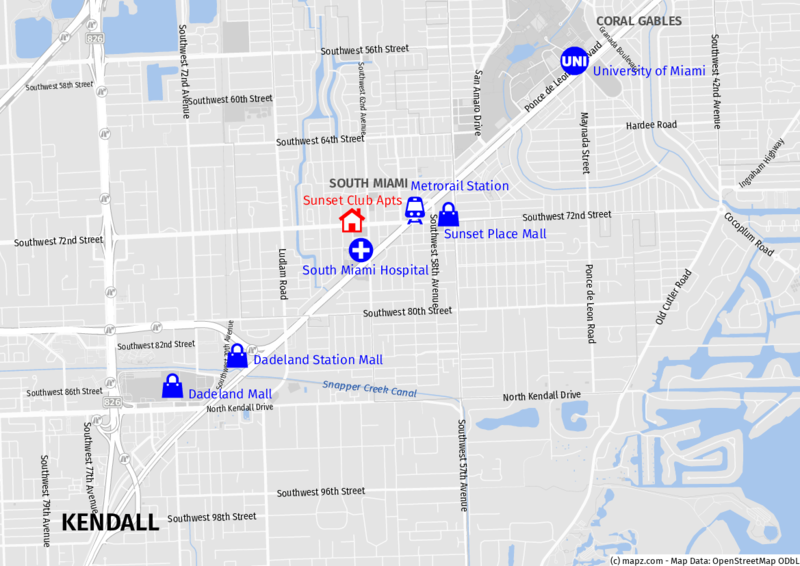 Sunset Club Apartments is in the heart of it all… located just a few blocks from Sunset Place Mall, Metrorail Station, South Miami City Hall, South Miami Hospital, Public Library and minutes from the University of Miami. Live conveniently accessible to grocery stores, retail stores, restaurants, bars all the services you could possibly need. Nearby Metrorail station connects you to Downtown Miami, Coral Gables, and Coconut Grove quickly and efficiently. Search no more! This is the perfect place for you to live in.